This is our first report for the Year-End Fundraising Campaign that we launched last week. First, we thank the few who reacted to the call immediately, we are grateful to you all. We hope the rest of you will also react and help. At the same time, as always, we cannot help but wonder why the responses do not match the numbers of real beneficiaries of awate.com. Thousands of readers visit awate which serves anywhere between 7,000 to 12,000 pageviews daily. That translates to thousands of visitors even if we account for multiple visits of a few. That roughly reflects the performance of our main English section since we have not exploited the potential of Arabic and Tigrinya sections for lack of resources. As much as we are pleased to see the traffic volume grow, we worry about bandwidth usage. We are flattered to know that government officials often visit our website to find out what their government is doing. We know that whenever they are anxiety stricken, to corroborate or squash a news item, or a rumor swirling online, they turn to Awate to monitor the situation. International media and diplomatic corps also frequently visit to read the perspective of the voiceless Eritreans inside the country. 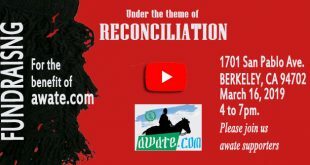 Over the years awate.com was considered a major enemy of the Eritrean regime, and we consider that a badge of honor. Our wealthy archives contain thousands of files and are already serving as a significant research source and surely will be a more useful reference for future researchers and students. We take pride in the awate archives because the contents are original–either our own production or originals provided by an array of talented writers, analysts, and professionals in varied fields. Over the last nineteen years, Gedab News, our news arm, has set the standards so high it has become a well-respected brand. We have maintained a high level of professionalism in the Pencil, our editorial unit, by avoiding run of the mill contents. Anyone in the writing profession would understand the time and efforts required to produce such volume in such a quality, consistently for nineteen years. 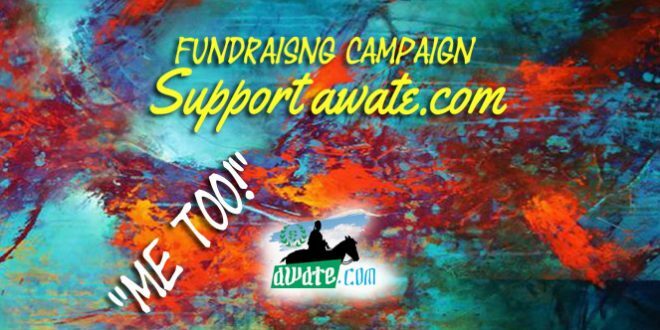 Awate.com has contributed greatly towards raising the bar very high for citizen journalism in our region. All of that didn’t come easily, but with adverse effects on those of us who took it upon ourselves to keep the awate platform alive. The commitment has caused us grave financial losses, lagging behind in career, deteriorating health, and mainly, chewed off much of our valuable family time. Regardless, we remained resilient, truthful to our cause, to our readers, and to our people—we stayed put and braved the arduous journey. Sadly, after nineteen years of non-stop dedicated work, we have not found a solution for our financial hardships in carrying out the task. As it is, we manage it by extending our work weeks to over eighty hours, putting hundreds of volunteer work hours behind the job. We respect and sympathize with those who face the same problems as we do, however few they are. 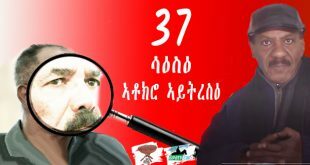 But we do not have any respect for those who squander funds, collected from different entities in the name of the Eritrean struggle, on useless activities. We believe those expensive undertakings have become a trade, a coverup, a reason, and a means to channel NGO funds. There is another reason for our hardships. We have promised you we will never compromise our integrity to secure funds. After nineteen years of hard work, we can proudly declare that we were never funded by outside sources, questionable or honest. Our main funding source is our own resources supported by whatever we receive from a few loyal and dedicated friends and readers. Our wish has always been to have enough number of supporters who would contribute small amounts without burdening their budgets too much–a thousand people donating $10 each will yield $10, 000. But that is difficult to realize if those who donate, though some of them are generous, are a mere two dozen people. We are humbled by a few of them who take it upon themselves to act every time we make a call. We thank them on our own behalf and on behalf of anyone benefiting from awate.com. There is a reason hindering our fundraising campaigns, but we will not compromise our integrity to overcome that kind of hindrance. We do not cater to any pressure group–be it ethnic, religious, or a political group. Our allegiance is to all those who believe in the interest of Eritreans and that of our neighborly people who share with us a life in the volatile region. 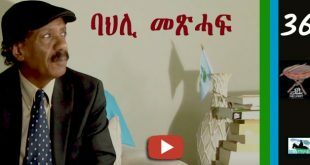 Awate and its editors and writers have always been victims of unfounded accusations by the PFDJ and its supporter who relentlessly try to associate it with one or another region, one or another sect, and with one or another party. However, sure of its integrity, the website and its administrators stayed true to the cause for which this august website was established. 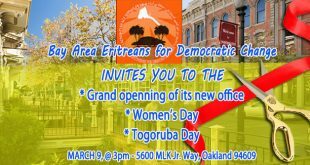 Fortunately, even those who do not openly admit these facts, are sure that awate’s allegiance is to Eritrea and all its citizens, regardless of their varied affiliations and identities, always reminding the PFDJ and its supporters that their system of governance is inept and unjust. We will always remain true to our founding fathers, our heroes who sacrificed their lives to make Eritrea and the region a better place for its people. Covering what needs to be covered is our homework. 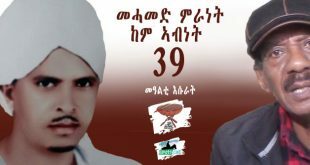 We will mention the heroism of Wed-Ali, and Hajji Musa, or admirable moves by Eritreans like Berhane Abrehe and many, many others. 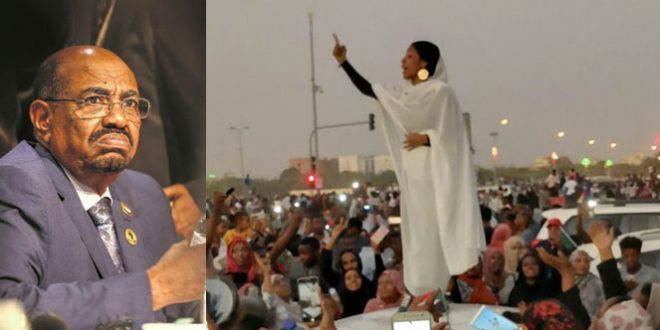 We will remind people of the injustice that have befallen veterans like Bitweded Abraha, the ordeal of Ciham Abdu, a child who remained jailed and now is a woman, and similar cases. 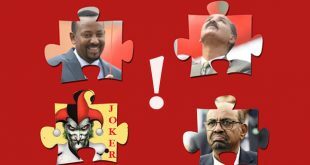 Needless to say, we cannot possibly cover all the cruelty of the PFDJ because of our limited resources, but we will make sure that we tell the story through a representative sample of any social or political segment of our great and beleaguered nation. 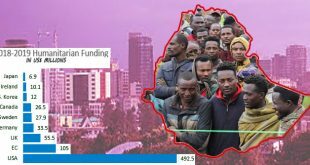 Had we fallen into the abyss of rallying behind any narrow interest, be it religious, ethnic, regional or partisan, we know how our funding would have improved. But we will never do that; we take pride in stating we didn’t fall prey to many enticements in the past and it will not happen in the future. We will never fall into that trap. It’s true, there are many people who believe in what we believe, yet, we have failed to find out what ticks them beyond what we are doing! What would make them realize they need to chip in? What would make them react and support the website they trust and depend on? We have the figures to prove the number of people who use awate.com, and that is the basis for our questioning. 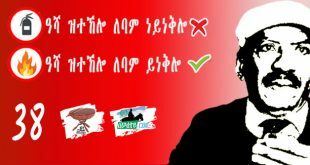 Another criticism we get is, that we are too accommodating to Ethiopians! To such an isolationist, belligerent attitude, and criticism, we have an answer. We are not, and will never be, isolationists. We will always feel proud that awate is the only institution that makes both Eritreans and Ethiopians feel at home. Yet, we are still behind on our dream of making the Sudanese and Somalis call awate.com home. Hopefully, we will get there once we find a sustainable support network of dedicated people while politicians and rulers pursue high sounding clichés such as “economic integration” and other fancy-sounding projects. Still, we will focus on grassroots and intellectual engagements—and we can boast that we are one of the few major intellectual meeting platforms in the region. Also, some people complain that we do not provide quick news (Breaking News, as they are called). Though we understand the complaint and we apologize for not being faster, we hope they realize we cannot provide uncorroborated news or news that doesn’t have an added value. Ours is a purposeful operation and we will never become one-liner news providers as is common on social media, where everyone feels they are a news agency, that must spread any rumor without studying the consequence or verifying the news and collaborating it, as if in a race against time. And we ask: for what purpose? We hope that those who are doing more harm to the purposeful journalism become wiser and stop confusing the public. We wish all of us can reflect on it. 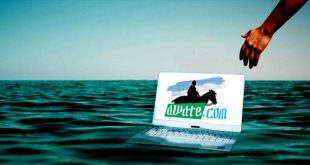 Finally, we cannot imagine that awate.com could stop because of a financial “force majeure”. If it did, it would be a shame. That is why we appeal to you to understand how grave it has become and lend us a hand. Our dreams are huge, and we are confident we can do it with your support. However, singlehandedly, without your support, we cannot realize a fraction of our dream. Your support is critical, please act now. Below the “Support awate.com” icon on the frontpage, there is a form through which you can make your donation. At the bottom of the next page, you will have a choice to either make your payment through Paypal or Credit Card. 2. PAYPAL Click the Orange Paypal icon and make your donations. Your contributions will appear on your bank statement as “Paypal*awate.com”. Please contribute as generously as you can. We appreciate your support, thank you. 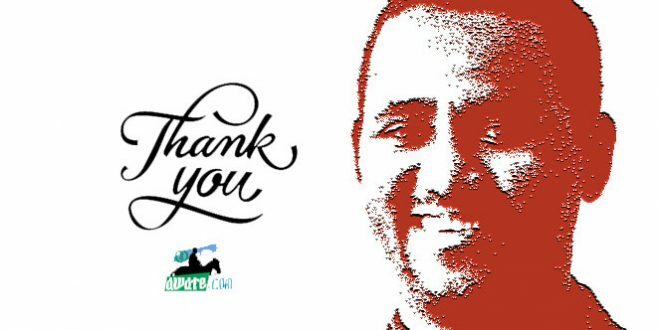 Thank you for your hard work and tenacity to continue to provide us with the platform to express ourselves freely. 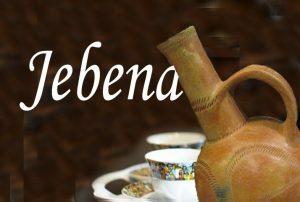 This forum is one of the reliable sources of information about the horn, particularly Eritrean and that is testimony to your integrity. I realise that the existence of Awate depends on your daily sacrifices and as a mark of recognition I am increasing my monthly subscription by 100% from Jan 2019. I know this is nothing compared to your sacrifices but that is what I can afford at the moment as there are other Eritrean news outlets, international human rights organisation & humanitarian charities I contributed monthly. I wish everyone regularly visits and benefits from this forum cheep-in a tenner a month and share the burden you are carrying continuously. Having said the above I have also some suggestions, I think will help to raise more funds. 1) To continue to ask for support from visitors, something like a popup note, like the once we see on Wikipedia to capture donation from non regular visitors. 2) Publish Awate accounts, including your sacrifices (time spent) quantified in numbers as unfortunately, people are visual and into number these days. I believe that will shock a lot of Awate’s regular visitors and encourage them to cheep-in what they can afford. 3) I am proud of you that you made it this far with out soliciting outside sources. However, there is nothing wrong with looking for supporters, who will be willing to help with out compromising your integrity. I think you should look actively for such an opportunity, however how few they are, as they can offer a ground breaking transformation. I did make a $250 donation a couple of weeks ago, and planned to keep quiet it. But I hope my example as one of the aforementioned Ethiopians that has been welcomed here can serve to motivate a few more. Even with the decidedly strange tone of some of the recent articles and comments, this wonderful website remains a beacon. A place that offers its hospitality to people that range from the rude to the erudite, it’s pages to content ranging from the silly to the sublime. To my mind the one constant that makes this site work is the unrelenting dedication of our hosts to keep discussions free and also civil. That is an incredibly time consuming task that cannot be automated away to some AI ‘bot even in this day and age. Personally, I long for the day when I can celebrate along with the Saays and the Salehs and the many other wonderful people here as they get to witness and experience the emptying of Eritrean jails and the rejoining of thousands of families. I would like to think some of the winds of Ethiopian change will make their way northward. Until we meet for the long discussed Awate get together party in Asmara and drink Habesha beer..
How are you; you have been missed for so long. Hope Fanti is also well. Let me rebel and misbehave and jump on the bandwagon of dear AT members and thank you for your generous contribution, and, most important that urged me to do what I am doing, for your wish to join us Eritreans to celebrate the rise of the sun of freedom on our horizon. Only free people believe that their freedom would be lacking and incomplete while fellow human beings near and far endure under despotism and everything it means and entails. We are planning to report what was donated by the end of the month. Thank you for our generosity and for remaining committed to supporting. We really appreciate it. Honestly, we would have preferred if three friends donated the total amount you donated because spreading the burden makes it easy on all of our friends–and on us. But if you can afford it, we wish you more so that you can stay generous in supporting different public causes. Until we report, thank you a lot.